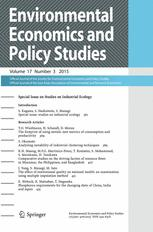 Le papier « Revisiting the hedonic price method in the presence of market segmentation » de Marc Baudry et Masha Maslianskaïa-Pautrel est publié dans Environmental Economics and Policy Studies. The article presents a theoretical analysis of the role of groupwise heterogeneity in the formation of hedonic prices. We show that in this case, submarkets emerge from market equilibrium. The existence of submarkets means that the hedonic price function is continuous but the implicit price of characteristics is discontinuous at endogenous threshold values separating submarkets. Based on numerical simulations, the article highlights the way the groupwise heterogeneity could bias the estimation of the implicit price of environmental quality.